Matthew E. Poehner is Assistant Professor in the Department of Curriculum and Instruction and Professor-in-Charge of World Language Education at The Pennsylvania State University. His research interests include Sociocultural Theory, Dynamic Assessment and Concept-Based Language Instruction. He has published articles in Journal of Applied Linguistics, The Modern Language Journal, Critical Inquiry in Language Studies , and Language Teaching Research. He is author of Dynamic Assessment: A Vygotskian Approach to Understanding and Promoting Second Language Development (2008). L.S. Vygotsky, the renowned Russian psychologist, argued that the true test of any scientific theory is not the contribution it makes to our understanding of the object of study but the extent to which it improves the concrete practical activities of people, including those that take place in educational settings. The fourteen original chapters included in the present volume document innovations in second and foreign language teaching that are rooted in Vygotsky’s theory of cognitive development. Researchers and language teaching practitioners will find implementations at the classroom and programmatic levels of Vygotskian principles and concepts, including cognitive mediation, the zone of proximal development, activity theory, internalization, verbalization, and materialization. Poehner’s chapter, ‘Both Sides of the Conversation: The Interplay between Mediation and Learner Reciprocity in Dynamic Assessment,’ acknowledges the considerable attention in ZPD and DA research that has been devoted to elaborating the kinds of mediation that may successfully promote development but argues that this must be balanced by simultaneously focusing on learners’ contributions. He identifies the construct of learner reciprocity , first proposed by Lidz (1991), as a way of interpreting learner behaviors during DA. His chapter develops reciprocity beyond its original conceptualization as an indicator of learners’ receptiveness to mediation and he offers examples of L2 French learners who actively negotiate and even refuse mediation as they struggle to gain greater autonomy. Poehner concludes that just as the quality of mediation learners require reveals much about their abilities, analysis of their reciprocating behaviors completes the picture of their development. The implication for the classroom is that learner development from one interaction to the next may not result in improved performance or even in changes to the mediation learners require but might be apparent as they implicitly and explicitly seek, respond to, negotiate and refuse mediator support. Ableeva’s chapter ‘The Effects of Dynamic Assessment on L2 Listening Comprehension’ also reports on the use of DA in the context of an L2 French classroom, but unlike Poehner’s study, hers compares the insights into learners’ abilities gained through dynamic and nondynamic procedures. Pointing to the current interest in listening comprehension assessment in the language testing literature, Ableeva carried out a small-scale pilot study in which she offered learners mediation as they listened to authentic French radio texts in order to ascertain whether a dynamic procedure uncovered features of their abilities not apparent from their solo performance. Her findings confirm Vygotsky’s prediction that individuals whose independent performances are quite similar may have very different ZPDs. In fact, for some learners, comprehension of the aural text hinged on a single lexical item or on relevant cultural details. The non-dynamic procedure failed to detect these differences and indicated only whether learners could or could not answer comprehension questions correctly. This finding leads Ableeva to argue in favor of the use of DA as both a diagnostic tool to uncover the causes of poor comprehension as well as an approach to supporting learners’ development of their listening abilities. In the third DA chapter, ‘Changing Examination Structures within a College of Education: The Application of Dynamic Assessment in Preservice ESOL Endorsement Courses in Florida,’ Erben et al. expand DA principles beyond classroom interactions and describe its use at a programmatic level. Working to meet the state mandated ESOL endorsement requirement for teacher certification in Florida, Erben et al. reformulated a college of education’s examination procedures in order to emphasize mediation and dialogic interaction, as called for by DA. This innovation is ongoing and has already met with success in the college’s key ESOL methodology courses, as evidenced by instructors’ and teachertrainees’ reflections on their experiences with DA. The chapter documents the initial institutional resistance to altering exam procedures as well as gradual acceptance of DA as faculty and students became better acquainted with Vygotskian developmental theory. As the authors point out, their application of DA on such a large scale not only helps university instructors to better understand and support teacher-trainees’ developing abilities but it simultaneously is preparing a new generation of teachers who may employ DA in their own classrooms. Holbrook Mahn, Professor in Language, Literacy, & Sociocultural Studies at the University of New Mexico, specializes in second language literacy and the work of Lev Vygotsky. Before beginning his university career, he was taught high school English as a Second Language in Los Angeles. 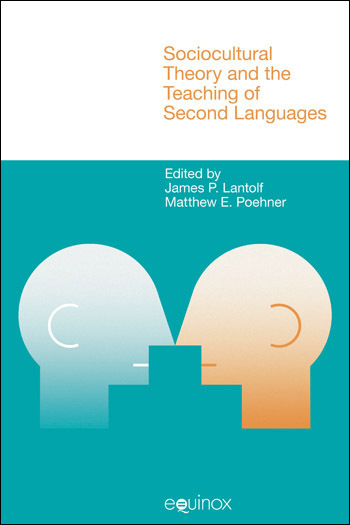 In his chapter ‘A Dialogic Approach to Teaching L2 Writing’ Mahn addresses the problem of helping ESL writing students express their intended meanings through the L2 by employing dialog journals as a mediating activity between the language and the students’ internal systems of meaning. For Mahn, dialog journals represent a space and time of free experimentation in the ZPD, as learners ‘play’ with ideas and with language without the fear of correction or even ridicule that is often present during more formal writing exercises and face-to-face interactions. Citing students’ own reflections of maintaining dialog journals, Mahn argues that the absence of a fear of correction enables students to focus on the meanings they wish to express and that while this may result, especially at first, in texts that are not acceptable in a traditional pedagogy (e.g., texts that contain many grammatical and lexical errors or that are written in more than one language), it nonetheless represents an important step in helping learners develop their own voice in the L2, a voice that is reflective of their lived experiences. Steven G. McCafferty is a professor of applied linguistics in the Department of Educational Psychology and Higher Education at the University of Nevada, Las Vegas. His research interests center primarily on the application of sociocultural theory to L2 development with regard to learners of English. Along with other publications, he served as the editor for a Special Issue of the International Journal of Applied Linguistics on “Private and inner forms of speech and gesture and second language learning” (2004), was the co-editor with Marianne Gullberg for a Special Issue of Studies in Second Language Acquisition on L2 gesture studies (2008), and co-editor of a book on L2 gesture studies with Gale Stam, Gesture: Second Language Acquisition and Classroom Research (2008). He also taught a course on L2 gesture studies at the 2009 Summer Institute in Applied Linguistics, is an active member in AAAL and ISGS, a former Chair of the Applied Linguistics Interest Section, TESOL, and the seventh Host/Chair for the SCT and L2 gathering (conference) in 1997. In the chapter by Haught and McCafferty ‘Embodied Language Performance: Drama and the ZPD in the Second Language Classroom,’ play in the ZPD is not concerned directly with students’ lived experiences but rather with engaging them in the life and identity of another. These authors build directly on Vygotsky’s analysis of role playing as a leading activity in child development to devise an ESL pedagogy around drama. While acknowledging that the value of drama in the classroom has been recognized for some time, Haught and McCafferty argue that through a process of careful modeling by the teacher, individual and class rehearsals and eventual performance, learners are guided into ‘playing’ beyond their current level of development. In other words, drama serves as a mediating activity to support learners’ development as they act out the part of another in the L2. The power of drama-based pedagogy, according to Haught and McCafferty, is that rehearsal and performance involve not simply repeating lines or copying a model but imitation in the Vygotskian sense of transformative appropriation, or internalization, of ways of thinking and behaving. They also rely on Bakhtin’s notion of ventriloquation to explicate the dynamics of learners’ emergent and embodied performances, which went well beyond the teacher’s modeling to include unique interpretations of characters, their feelings and motivations as communicated through facial expression, gesture, intonation and improvisation. In effect, the students created roles for themselves through the second language and culture. Leo van Lier was born in The Netherlands and received his Ph.D. in Linguistics from Lancaster University in the UK. He has worked and taught in several countries in Europe, Latin America and Asia, as well as in New Zealand and the USA. His most recent book is The Ecology and Semiotics of Language Learning (Springer, 2004). He is Professor in the Graduate School of Translation, Interpretation, and Language Education at the Monterey Institute of International Studies in California. He is also the Editor of The Modern Language Journal. In the final chapter of this section, ‘Agency in the Classroom’ van Lier argues that appropriately interpreting and mediating learners as they exercise agency in various ways is in fact more important for their development than the content matter and teaching materials. Just as Poehner’s chapter introduces the notion of reciprocity to draw attention to learners’ active negotiation of mediation during DA, van Lier similarly points out that Vygotskian theory compels us to understand agency not as a quality of an individual but as a contextually situated way of relating to the world that is shaped by our developmental history as well as our potential future. Agency, then, emerges as individuals, groups and communities interact with various affordances while engaging in goal-directed activity. The challenge for pedagogy is to design learning environments and activities in which students are optimally agentive in taking responsibility for their own – and indeed their classmates’ – development. Van Lier illustrates some of the forms learner agency may take in the L2 classroom and suggests curricular approaches,such as project-based learning, that may be especially well suited to mediating agency. at the University of Miami. His research is on the areas of sociocultural theory and second language teaching and learning, Spanish second language acquisition, and technology-enhanced language learning. The initial chapter, authored by Negueruela and entitled ‘Revolutionary Pedagogies: Learning that Leads (to) Second Language Development’ serves to introduce this set of chapters as it outlines many of the principles of concept-based instruction as described in one of the two most important pedagogical interpreters of Vygotsky’s theory, Piotr Gal’perin. Because it also questions some of the traditional assumptions associated with the ZPD, the chapter also bridges to the initial section. Negueruela argues for what the author calls a ‘revolutionary pedagogy’ based on the principle that in the ZPD learning and development form a dialectic unity in which each process promotes the other, unlike in a more traditional approach to instruction where it is assumed that effective learning depends on developmental readiness. Negueruela proposes that because neither the path nor the outcome of development is predictable (indeed, it is revolutionary) it is perhaps more appropriate to change the term Zone of Proximal Development, which the author argue carries implications of inevitability, to Zone of ‘Potential’ Development, which is more openended. The chapter then moves to a discussion of a portion of the datafrom a pedagogical study conducted by the author based on Gal’perin’s concept-based approach to education. Drawing on his dissertation research (Negueruela 2003), Negueruela documents the process that one learner went through as she attempted to appropriate the concept of mood in Spanish through CBI principles. Here the author considers three sources of data: learner performance, verbalization of the concept and her reactions to the new pedagogical approach. Dr. Lapkin is currently Professor Emerita in the Second Language Education Program of the Department of Curriculum, Teaching and Learning. She received the Prix Robert Roy from the Canadian Association of Second Language Teachers in 2006. Dr. Merrill Swain is Professor Emeritus at OISE/UT. There, she has taught and conducted research for 40 years. Her interests include bilingual education and second language learning, teaching and testing. She is author of over 150 articles published in refereed journals, as well as many book chapters. Her present research focuses on the role of collaborative dialogue and “languaging” in second language learning. She was President of AAAL, and VP of AILA. She was presented AAALs’ 2004 Distinguished Scholarship and Service Award. She received an Honorary Doctorate from the University of Vaasa in Finland in 2011.Merrill has recently co-authored a textbook which introduces Sociocultural Theory through narratives of second language learning and teaching. The next chapter in this subsection, by Lapkin, Swain and Knouzi, ‘French as a Second Language University Students Learn the Grammatical Concept of Voice: Study Design, Materials Development and Pilot Data’ reports on a study inspired by Negueruela’s (2003) dissertation. The study focuses on only one aspect of CBI as implemented by Negueruela – the importance of verbalization of the concept as part of the internalization process. In addition to the SCT-informed work of Negueruela, Lapkin et al. also point out that empirical, atheoretical research in science and math education report positive effects when learners explained complex concepts to themselves aloud. In the study, the authors developed an explanation of the grammatical concept of voice in French. Intermediate-level university students of the language were trained to self-explain, exposed to a text with sentences in the active, passive and middle voices in the language and were asked to talk their way through an explanation of the concept. The researchers then administered an immediate and delayed posttest to the students. Interviews conducted with the students along with the pilot data suggest that learning occurred and that students perceived this approach to be an effective way to learn. Steven L. Thorne is Professor of Second Language Acquisition and holds faculty appointments in the Department of World Languages & Literatures at Portland State University and in the Department of Applied Linguistics at the University of Groningen, The Netherlands. Jonathon Reinhardt is Associate Professor of English Applied Linguistics and Second Language Acquisition and Teaching at the University of Arizona. The chapter by Thorne, Reinhardt and Golombek, ‘Mediation as Objectification in the Development of Professional Academic Discourse: A Corpus-informed Curricular Innovation’ implements Concept-Based Instruction in an ESL International Teaching Assistant (ITA) Program at a large research university. The concern of the project is instruction in the pragmatic function of hedging in English, which according to the authors is an important function for ITAs when advising students during one-on-one office-hour sessions. The course of instruction designed by Thorne and his colleagues is situated within a perspective known as data-driven learning. To this end, the authors draw up the large corpus of academic English, MICASE, developed at the University of Michigan. They use this data to benchmark the performance of ITAs as well as to develop instructional materials. They then developed a series of systematic diagrams to present the concept of pragmatic hedging to the ITAs and to assist them in guiding their appropriate use of English when interacting with their American undergraduate students. The fourth chapter that deals with Concept-based Instruction is by Ferreira and Lantolf, ‘A Concept-based Approach to Teaching Writing through Genre Analysis.’ It is, however, not based on Gal’perin’s theory of instruction, but on the second important pedagogical interpreter of Vygotsky’s theory, V. V. Davydov, who designed a more flexible model for educating students in scientific concepts. One of the differences between Davydov and Gal’perin is that Davydov asks students to draw their own models of the concept under study, whereas Gal’perin presents them with a finished model to follow. The idea here is that through self-generated modeling of the concept, learners come to a deeper understanding of the concept; in addition, their understanding is open to observation by the instructor, who can then interact with the learners in order to help them modify their understanding when necessary. The chapter reports on a 16-week university ESL writing course in which the guiding concept was the System-Functional concept of genre as developed in the work of James Martin and his colleagues working in Australia. The chapter traces the performance of a subset of the students who participated in the course in terms of the models they produced to represent their understanding of three concrete genres: invitations, job application letters and argumentative/expository texts. The authors then attempt to link changes in learners’ understanding of the genre as reflected in their models with improvement in their writing performance as assessed by a team of independent raters. The fifth and final chapter in this subsection by Serrano-Lopez and Poehner, ‘Materializing Linguistic Concepts through 3-D Clay Modeling: A Tool-and-Result Approach to Mediating L2 Spanish Development,’ discusses the results of a study which took a slightly different twist with regard to how the concept, in this case, locative prepositions in Spanish, are modeled. Instead of the instructor providing the model or asking the students to draw the model, students were encouraged to build their own 3-D clay models to illustrate the meaning of locative prepositions in the language. The argument the authors put forth to support the value of such an approach is based on Newman and Holzman’s (1993) claim that effective instruction must allow learners to build their own mediation means (i.e., tool-and-result) rather than providing them with prepackaged materials (i.e., tools-for-result). This chapter resonates well with Negueruela’s call for a revolutionary pedagogy, although the authors of this chapter take a different stance on how to concretize such a pedagogy from what is proposed by Negueruela. The study compared students who received instruction in the concept and then modeled it in clay with students who were given instruction in the concept only. Given that the modeling group outperformed the concept-only group of learners, the study confirms Vygotsky’s argument that memorization of the definition of a concept alone does not result in genuine development. The definition must be connected to concrete activity. 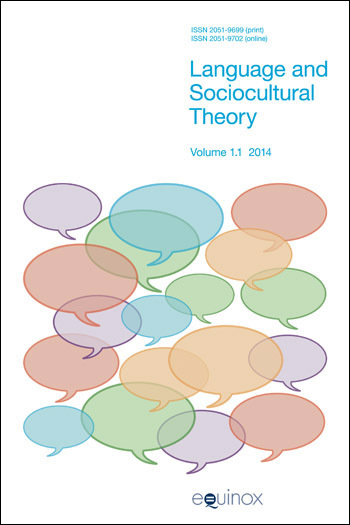 In her chapter, ‘The Unfulfilled Promise of Teaching for Communicative Competence: Insights from Sociocultural Theory’ Magnan points out that pedagogies generally identified by the label Communicative Language Teaching (CLT), as inspired by Hymes’ (1971) notion of communicative competence, need to broaden the scope of what counts as authentic communicative activity. To date, according to Magnan, CLT has emphasized group work, role play and the use of so-called authentic materials as a way of simulating everyday life in the target language community. She cautions, however, that the culturally and linguistically sheltered population of most foreign language classrooms means that while communication may take place in the L2, it is most likely to be anchored in the learners’ native cultural concepts and discourse patterns. She goes on to consider the implications of Vygotskian principles, in particular Activity Theory, for CLT. Building on Wenger’s (1998) notion of communities of practice, Magnan suggests how foreign language pedagogy can be reconceptualized to situate learning in communities wider than those afforded by most classroom contexts. Learners are thus given the opportunity to shape their evolving multilingual and multicultural identities through co-constructive relationships with other social groups. Grabois’s chapter ‘Contribution and Language Learning: Servicelearning from a Sociocultural Perspective’ considers one possibility of concretizing Magnan’s proposals to expand the boundaries of foreign language instructional programs into everyday communities where the target language is used. Grabois examines the reflections of students who participated in an advanced Spanish university service-learning course from the perspective of SCT. In particular it considers the concept of ‘contribution’ as described by Stetsenko and Arievitch (2004). These researchers suggest that contribution is a more useful way of considering Vygotsky’s contention that internalization of cultural artifacts and concepts from a community has a flip side to it – externalization – or the giving back to the community what one may have appropriated and modified. This under-researched aspect of the developmental process derives its relevance according to Stetsenko and Arievitch from the fact that a contribution, as opposed to externalization, has a goaldirected aspect to it, which the latter notion does not. Grabois documents through the extensive commentary produced by the Spanish students who participated (here he brings in Sfard’s (1998) study of the participation versus acquisition metaphor) in various activities with local Hispanic communities that learning through contributing to the well being of others can change student knowledge of and attitudes toward target communities, while elevating the meaningfulness of language learning activity to levels rarely attainable in the classroom. He further shows that situating language learning in relation to personal development and social consciousness also has significant influence on student motivation, attitudes, confidence and ability to successfully interact in the target language.